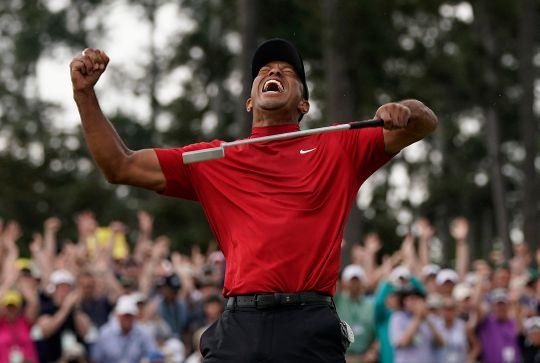 Tiger Woods won the Masters on Sunday, capturing his fifth green jacket and 15th major title -- his first in more than a decade -- in one of the most stunning turnarounds in sports history. Along the way, sponsors came and went. A number of companies, such as AT&T, Accenture and Gillette dropped him after the infidelity scandal, and Nike, by far his most important corporate ally, recently announced it was getting out of the golf equipment business entirely. It still makes Woods’s clothing. It will also have consequences for sports books across the country. William Hill in Nevada took a $85,000 bet on Woods at 14-to-1 that will pay out $1.2 million, the largest liability on a golf bet in the company’s history taking wagers in the U.S. Before the start of the tournament, FanDuel’s chief marketing officer said the company had more than $1 million of exposure on Woods winning it all. Now 'that's' a come back.